Die Entwickler von Sumo Digital haben einen neuen Patch zu LittleBigPlanet 3 veröffentlicht. Laut der offiziellen Changelog bringt uns der neueste Patch ein neues Speichersystem welches die bis heute problematischen Speicherstände endlich etwas sichere machen sollte. Trotz der neuen Speicherfunktion empfehlen die Entwickler weiterhin die die eigenen Speicherdateien manuell abzuspeichern. 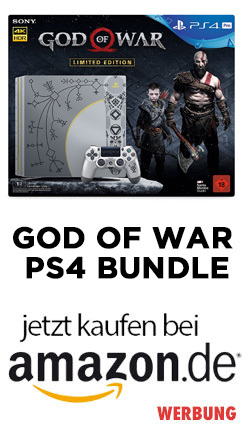 Weitere Infos zu den Neuerungen und Verbesserungen gibt es nachfolgend. LittleBigPlanet 3 Game Update 1.05 introduces new Save Profile functionality on PlayStation 4 that will create a new Save Profile type that is labelled “<Username> LittleBigPlanet 3 Profile”.This new system will run automatically in the background after installing the game update and will act as an extra layer of security to help prevent the save profile corruption issues that you may have been encountering.Note: Whilst this new save profile format should help prevent you from losing any substantial progress. We would still recommend that to keep your save data extra-secure, you should still regularly back-up your “<Username> LittleBigPlanet 3 Profile”, the new “<Username> LittleBigPlanet 3” data and your Adventure/Popit Puzzles Profiles. Diverging whilst capturing a character in Create Mode will no longer create a Custom Sackboy (known as the constantly running/spinning Sackboy) that is unusable in the Pod or other game modes. Attempting to equip costumes on Toggle will no longer cause the game to crash. This applies to both their standard costumes and any custom-made costumes containing Stickers and/or Decorations. Transforming as Toggle whilst entering a Level Link will no longer prevent the player from being able to enter the Level Link. Players will no longer encounter a potential crash issue when walking in front of a Level Link. Players can no longer use a known “Enable Adventure Save Warnings” glitch to copy Community Levels to their own Moon. Players can no longer use a known glitch to access Create Mode within their Pods. Collecting lots of Score Bubbles at once in multiplayer will no longer cause a game crash. Fixed a game freeze issue that may occur if the player simultaneously attempts to delete and move a level on their Earth using both the PlayStation 3 and PlayStation 4 versions of LittleBigPlanet 3 at the same time. The game will no longer freeze if a player disconnects their Ethernet cable, re-connects it and attempts to join a Host Player multiple times. The game will no longer become stuck on an infinite loading screen, if the host removes their Ethernet cable whilst a player is changing character. Generally improved our multiplayer match-making functionality to help ensure successful connections with other players. Fixed a multiplayer connection failure issue that may occur when a player accepts a Game Invite whilst in a level. Fixed a multiplayer connection failure issue that may occur when attempting to join another player that is not a PSN Friend. Fixed a multiplayer connection issue that may occur when a player requests to join another player whilst already present in another Host Player’s game session and not the current Host Player. Players will no longer become disconnected from a multiplayer game session when attempting to join another player in the Ziggurat Grand Hall adventure level. Attempting to simultaneously join a player of your own accord and accepting an invite to join them will no longer cause a failure message to appear in both instances. Players will no longer get stuck on a loading screen if a network error occurs whilst trying to join a Pod that is already containing two or more players. 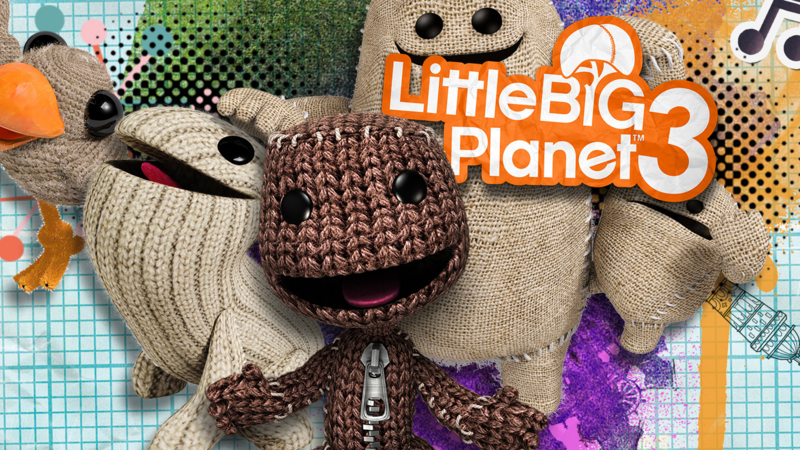 Using the “Unlock LittleBigPlanet 2 Content” feature will no longer cause the game to freeze. The “Simon Says” Pin will now correctly unlock upon meeting the required criteria. The “Curated” Pin will now correctly count the amount of Hearts your Playlists have received and will now award this Pin accordingly. Disconnecting from the Host Player in any of the Adventure Hub Levels will no longer cause a streaming chunk error that could potentially break the active Adventure Hub levels. Fixed a stability issue that may occur if a network error occurs during any DLC restriction messages that may appear to users attempting to access DLC that they do not own. Fixed a “Failed to Load Player Profile” error that may occur after completing the Ziggurat Titan. Fixed a number of issues that may occur if a Host Player goes through a Level Link whilst another Player is rapidly using the Character Change Gate. Players will no longer get stuck on a loading screen when the game attempts to save their Popit Puzzles progress when their total save data for LittleBigPlanet 3 is about to exceed its maximum limit. Fixed an issue that would cause LittleBigPlanet 3 to become unresponsive after completing a Community Level. The Introduction level will now load correctly when the player imports their LittleBigPlanet 2 Content during the first boot-up of LittleBigPlanet 3. Players will no longer be forcibly terminated from this level if a network error occurs whilst multiple players are being matched to each other. The Background will no longer disappear when a player joins a game in-progress in this level. The moving walls during the closing walls sequence will now correctly re-open for re-spawned players should they die multiple times during this sequence in a multiplayer game session. Fixed an issue that may cause the game to crash when attempting to access the Colour Properties menu of the Tennis Ball item in this level. Players will no longer receive a streaming chunk file error message when the Host Player quits LittleBigPlanet 3 whilst in this level. Fixed a gameplay divergence issue that may occur when playing this level during a multiplayer game session. Swoop will no longer get stuck in a tube in Cloud Caravan. Fixed an issue during the Toggle sequence that would cause Little Toggle to be invisible and then permanently re-spawn as Sackboy upon death, making this sequence impossible to complete. Fixed a progression blocker that may occur if the player were to fly upwards at the beginning of the Swoop sequence in this level. Fixed a progression issue that may occur when a player joins a Popit Puzzle level as a tutorial level begins to play. Previously the tutorial would pause and all players would be unable to progress, this no longer occurs. The “Battle On The Ice” Music Track will now function correctly. Tag Sensors will now display the correct colour assigned by the creator. Attaching an Object Saver to a Sackbot’s circuit board will no longer cause the player to receive a profile error. Faded Objects can now be correctly box-selected. This fix also allows them to be correctly captured again. Wires coming from Tools placed on a Faded Object will no longer be invisible. The Output on Tools can now be correctly grabbed when placed on a Faded Object. Placing a Tool on an active Circuit Board will no longer cause a game crash. Removing an Incremented Counter from a Microchip will no longer cause a game crash. Fixed a crash issue that may occur when the Thermometer is nearly full in Create Mode. Fixed a crash issue that may occur when a NOT Gate is deleted whilst receiving an input from a Randomiser. Fixed a crash issue that may occur in Create Mode when attempting to shift an object backwards when the Thermometer is near its maximum capacity. The game will no longer crash when attempting to take a contraption with an Advance Mover attached on it into a Velociporter. Little Toggle’s Skull Face Costume Trousers will no longer stretch when switching layers. Marshmallow’s Feet can now be properly unequipped.